"An instrument for performing electronic music. 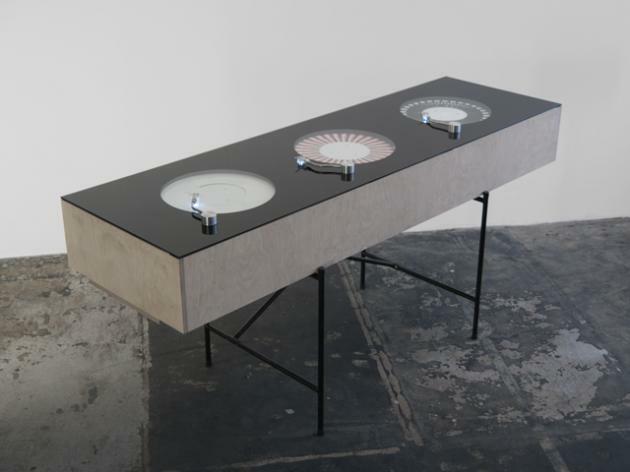 Three units, which are resembling standard record players, translate concentric visual patterns into control signals for further processing in any music software. The rotation of the discs, each holding three tracks, can be synced to a sequencer. The Soundmachines premiered on the Volkswagen New Beetle stand at the IAA motor show in late Summer 2011. In cooperation with the sounddesigner/ producer Yannick Labbé of TRICKSKI fame, we developed three unique discs, each controlling one track of an Ableton Live Set exclusively made for the Event. The show was supported by a set of realtime generated visuals, running on a 25m wide LED wall." "If stairs played musical notes when you walked on them, would you be more likely to take them? 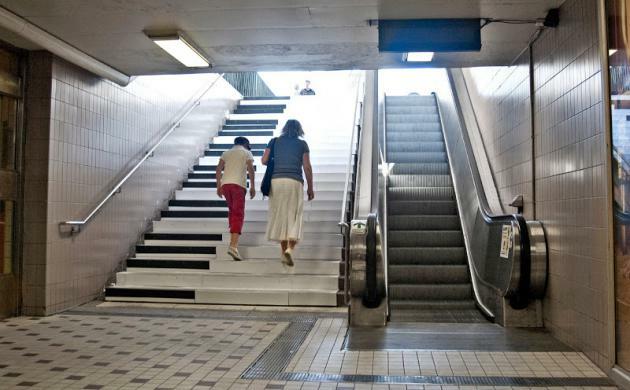 The video of people skipping the escalator in favor of composing music on the piano stairs of Odenplan subway station in Stockholm, Sweden, ... is part of a new viral marketing campaign called 'The Fun Theory.' The concept, created by Volkswagen Sweden and ad agency DDB Stockholm, is based on the idea that 'fun is the easiest way to change people's behavior for the better.'" "The Polo Confidence trick was developed at DDB London, by creative director Jeremy Craigen, art director Feargal Ballance, copywriter Dylan Harrison and agency producer Lucy 'Legs' Westmore. Filming was shot in San Pedro, Los Angeles, by director Noam Murro via Biscuit Filmworks, Los Angeles. Editing was done by Tim Thornton–Allan at Marshall Street Editors."